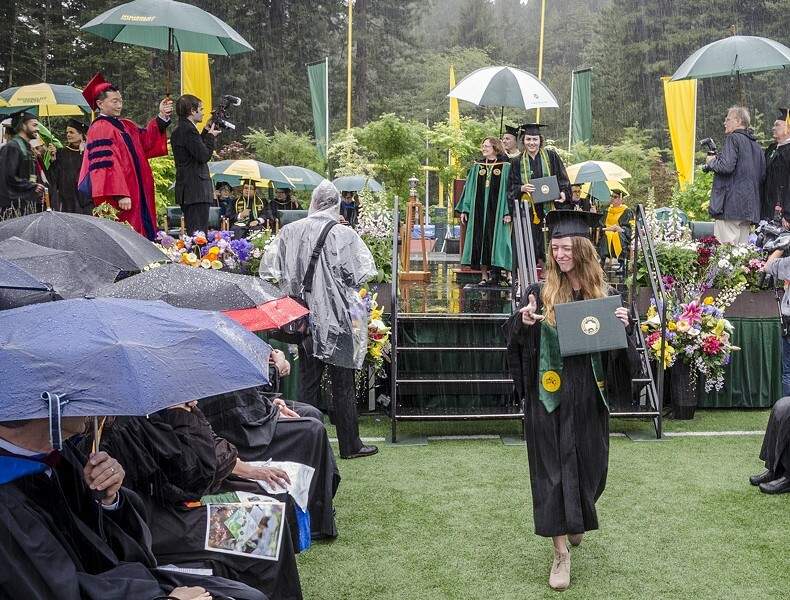 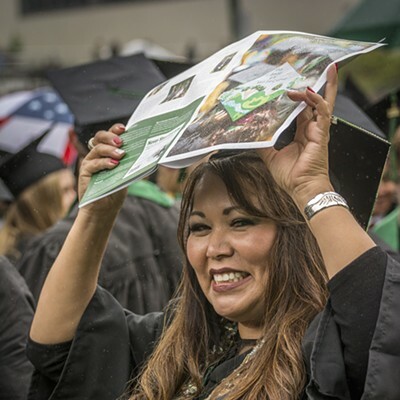 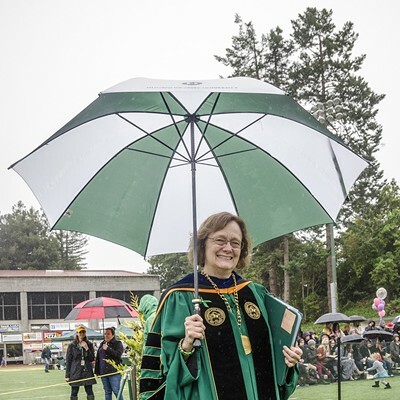 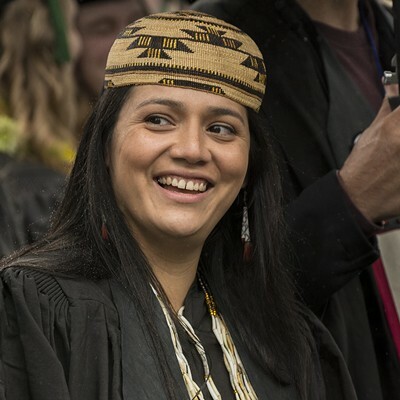 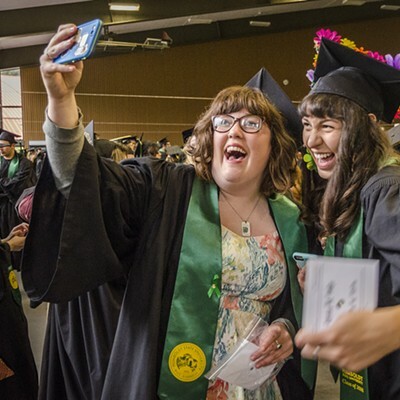 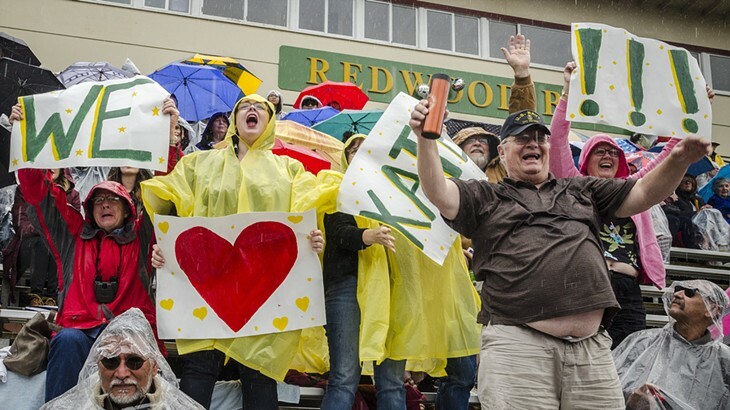 Journalism graduate Rebekah Staub displayed her diploma as she left the stage in a downpour at the College of Arts, Humanities and Social Sciences commencement on Saturday morning, May 14 in HSU's Redwood Bowl. 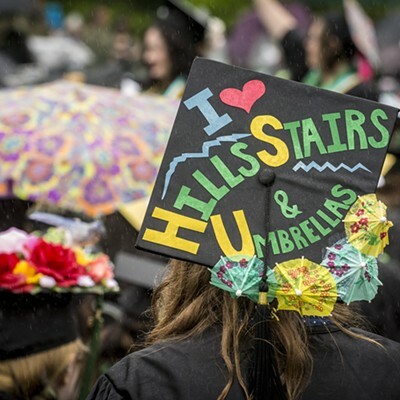 Rain fell during most of HSU's first commencement ceremony on Saturday morning, the weather thematically appropriate for HSU's informal motto: "I love Hills, Stairs & Umbrellas!" 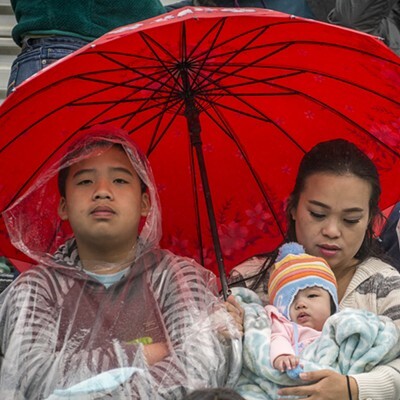 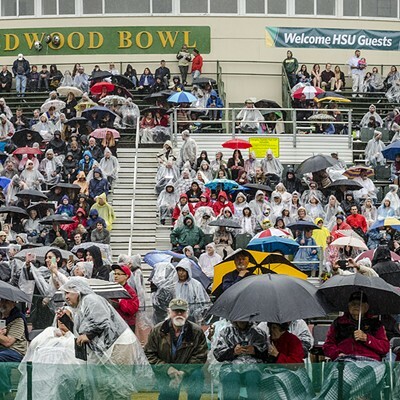 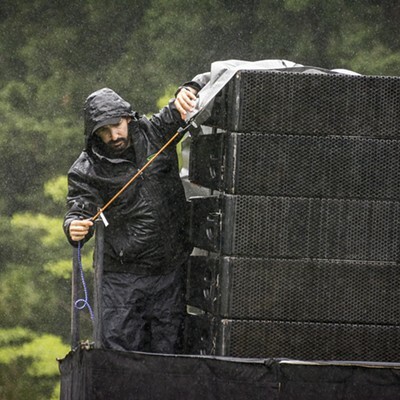 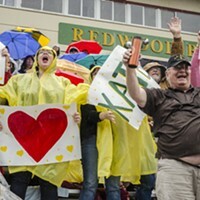 Most of the large crowd of attendees came prepared with umbrellas and rain gear, but HSU staff handed out free plastic ponchos to those who missed the weather forecast. 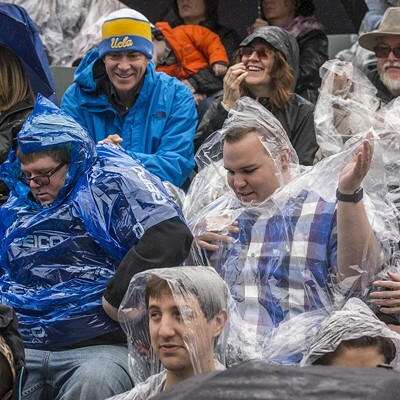 The graduates sat patiently in their soggy regalia throughout the ceremony, but were apparently too chilled at the end to perform much of a toss of their soggy mortarboard hats into the air.